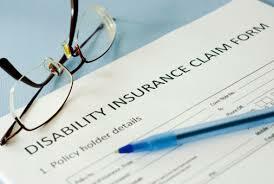 New York Disability Benefits Law ("DBL") is a state disability insurance program designed to provide employees with some level of income replacement in case of disability caused off-the-job. "DBL" became Law in New York State in 1949. All sections must be completed and the claim must be submitted to the Insurance Carrier within 30 days. All employees except High School Students. Corporate Officers may exclude themselves by filling out a form as long as there are no more than two (2) Corporate officers. An employer who has New York employees may opt to cover employees that work in other states as long as it is not a statutory state. The following five states are Statutory: California, Hawaii, New Jersey, New York and Rhode Island. Puerto Rico coverage is also statutory. Are business owners covered under NY DBL? Corporations with only one or two officers (each owning at least one share of stock) and no employee(s). (They may obtain coverage (at voluntary rates) by completing form DB-135 (for non-contributory groups) or DB-136 (for contributory groups). Can I choose not to provide DBL as a "covered employer"? No. DBL is mandatory insurance that you must provide for all your eligible employees. If you fail to put a policy in place, you may be subject to fines and other measures. As the business owner, you may choose to exclude yourself: If your business is a corporation with no more than two corporate officers (each owning at least one share of stock) and you have at least one employee, you may elect to exclude yourself from coverage by completing form DB-212.3 . Are my employees who live outside New York and work in my New York-based office covered? If they're eligible, yes. Coverage is based on where an employee works, not where the employee lives. Our business is located outside New York but some of our employees perform work in New York. Do we need DBL? If you are an out-of-state employer, you need a DBL policy for your New York employees if you employ one or more individuals each for at least 30 days in a calendar year in New York State. When do we need which Certificate? What is each Certificate for? DB-120 (Posting Notice, "Blue Board" or DBL Poster): must be posted in a visible place at your work site. DB-120.1 (Certificate of Insurance): is needed to apply for/retain business permits and licenses. DB-820 (Certificate of Insurance): is filed by the carrier with the State to verify the status of a policy. Are there any consequences if we don't have a DBL policy as a covered employer? If you don't provide DBL coverage as required by law, the Workers' Compensation Board may investigate and take action. Sole proprietors, partners of a partnership, as well as the President, Secretary and Treasurer of a corporation may be held personally liable for the failure to obtain a DBL policy.